Pepsi, Mattel and Kmart Among Initial Sponsors, Advertising from marketers including Pepsi, Mattel and Kmart will start appearing on WWE Network this week, according to the digital network, which debuted in February on subscriber revenue alone. While advertisers may be attracted to the platform because of its audience of hard-to-reach young men, some media buyers questioned the future of the "over-the-top" platform, which delivers TV content over the web. Advertising will live as 30-second spots in between shows within the network's 24/7 stream of programming, but there will be no commercial breaks within programming itself, said Michelle Wilson, chief revenue and marketing officer, WWE. For on-demand content, users will be served one 15 or 30-second spot on every fourth stream. Aside from traditional spots, WWE Network is working with advertisers to create custom content, including interstitials and programming. For 2K Sports, for example, WWE created a making-of show about the video game "WWE 2K15." "We are looking to WWE Network to tell a deeper story," said Chris Snyder, VP-marketing, 2K Sports. "Consumers signing up for the network are making a commitment and have a deeper engagement with the product." 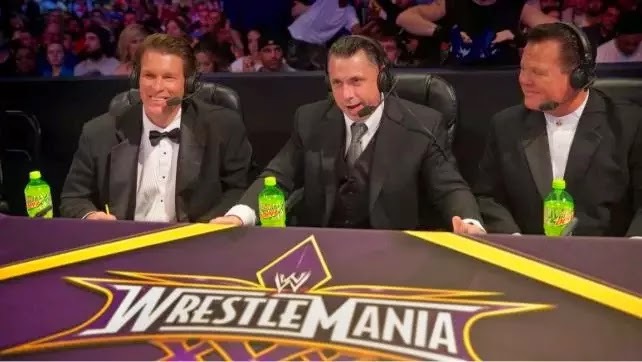 While 2K has also advertised with WWE TV programming like "Monday Night Raw" on USA Network and "Friday Night Smackdown" on Syfy, which have much larger audiences than the fledgling online service, Mr. Snyder said in those settings the marketer is limited to 30-second spots. WWE Network costs $9.99 per month, with a six-month commitment, and provides access to both live events including the WWE's big pay-per-view specials and on-demand library content. It attracted 700,000 subscribers in its first four months. But subscriber additions have slowed down since "WrestleMania" in April. Between April and August, the network posted just 33,000 net additions, with over 100,000 subscribers not even making it through the six-month commitment period due to "payment issues," the company said in its most recent earnings call. WWE has previously said the platform will need to have at least 1 million paying customers to be profitable, predicting it would hit that mark by year-end. Ms. Wilson declined to provide an update on that forecast. Until WWE Network can attract a more substantial audience, several media agencies have taken a wait-and-see approach. One media buyer questions the effectiveness of buying time on the platform versus within WWE TV programs like "Smackdown" and "Raw," the latter of which can attract 4 million viewers. Ms. Wilson said WWE Network provides advertisers with 24-7 access to WWE's fan base and enables sponsors to reach audiences wherever they are watching. Mattel has been a partner of WWE for five years, advertising within TV programming and now on the digital platform. Enrique Ruvalcaba, director of marketing-global entertainment brands, Mattel, said WWE Network allows the toy maker to reach "an extreme and passionate fan base" who are early adopters.